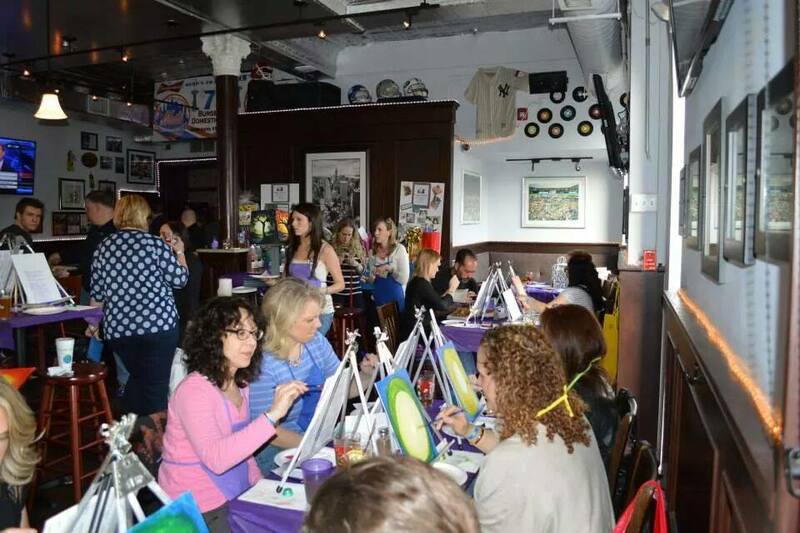 I offer private paint nights and sculpture parties as my schedule permits. Children and Adult Birthday Parties, Baby Showers, Tea parties, etc. or just a fun girls night in! Bring the party to your home so you can all drink and relax without having to worry about driving home. They are so much fun! I also offer full day wellness retreats style events which combine plant-based cooking lessons and painting. If you are in the Staten Island or New Jersey area and would like to discuss setting up a Private Event for a party between 15-45 people contact me for details and availability. 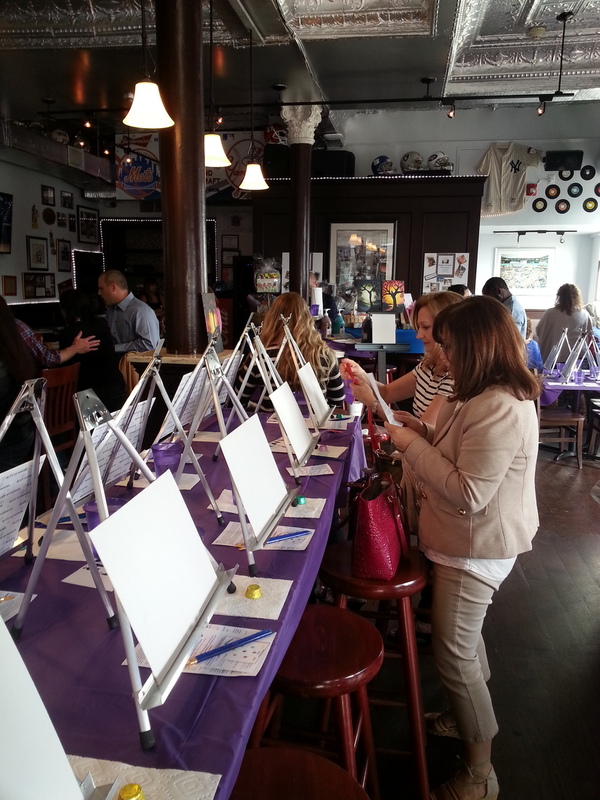 PAINTING for Paws - Fundraising Events! Donations for supplies are much needed and always appreciated! Painting for Paws is a fundraiser program I started which combines my love of teaching with my passion for creating and saving animals. I guide an acrylic painting event for any Non For Profit - 501 (c) (3) Animal Rescue Organization. I will host the event for free. This includes set up, clean up, myself teaching, a few of my fantastic volunteers, use of all of my supplies, (paints, easels, brushes, palates etc.) and a canvas which everyone will use and take home with them at the end of the event! Events are held at a bar/ restaurant that is able to accommodate us for a few hours on off nights &/or during weekend happy hour. All ticket proceeds go directly to the rescue. All food/ beverage sales go directly to the restaurant. A true win win! What better a way to raise money then by kicking back with some like heart-ed animal loving friends while learning to paint? You and your team work hard rescuing animals, please let me help you raise funds so you can keep doing what your doing! 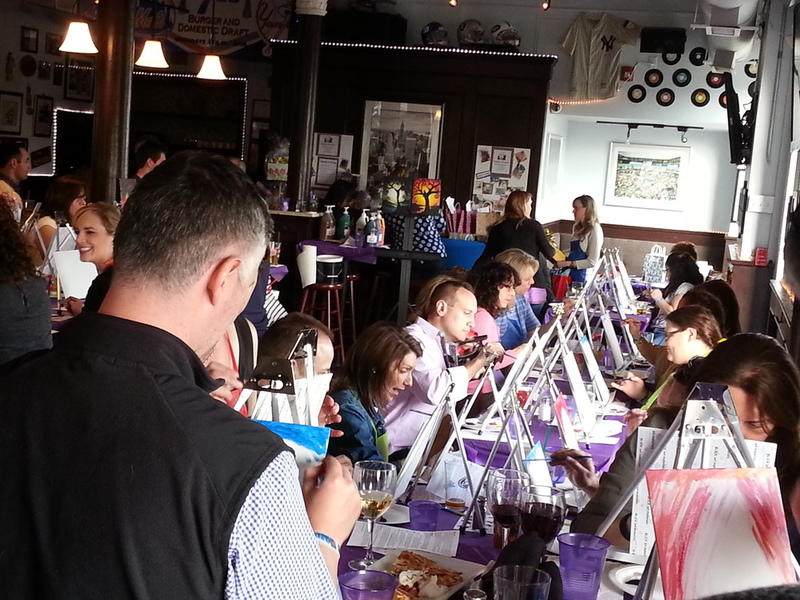 Photos from our February 28th, 2015 - Fur Friends In Need Fundraiser! Some images from our Happy Homes Animal Rescue, 2014 Event - Hoboken, NJ! If something affects you so much that you are driven to tears, you need to use that passion and find a way to do something about it. My 5 senior rescue kitties have been a huge part of my life for over 15 years now, each one of them was almost killed simply because they were homeless, sick, or blind. All of which were results of being at the shelter. The mere thought of this is enough to break my heart. I truly love animals and always have. My dream is to someday have a home of my own with enough land to save more animals, all animals! In the meantime, I do whatever I can to help the rescues who are working hard saving those beautiful creatures from death row (euth lists/ NYC hell holes they call "shelters"). I've donated funds, handmade toys, pledged to various rescues, am TNR certified, built shelters for homeless kitties and help feed a feral colony. I've volunteered time and art work to various organizations over the years but still, my heart was aching because I wanted to do more. I would give anything to be able to walk in to a NYC shelter and take every single one of the animals there, about to be killed because of no fault of their own, home. There's not a single day my heart doesn't break, nor a single week tears aren't shed for those precious little lives lost. With a full time job, a part time job and still limited funds the ability to do "more" had seemed impossible until I came up with this program. In addition to being an artist; illustrator, painter and fantasy sculptor, I"m also a certified art/ painting instructor. 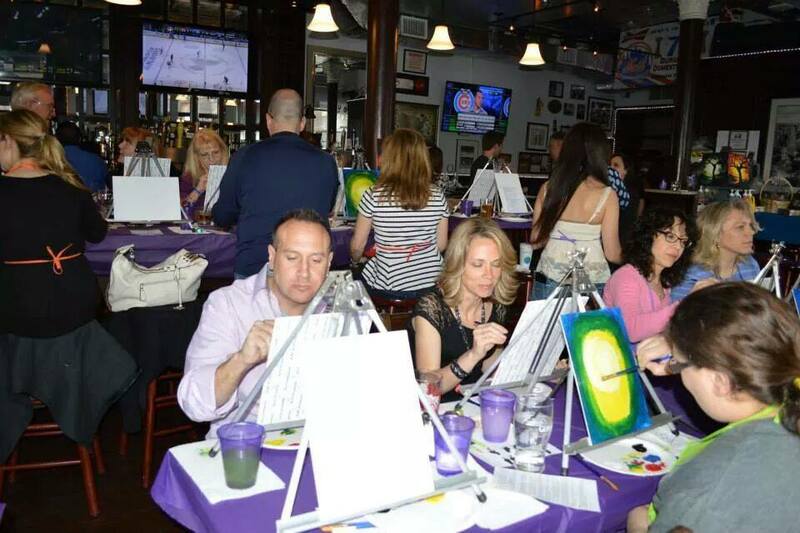 I teach painting classes at Micheal's Art stores in Staten Island and have taught painting & sculpture at SMB Studio Arts in Staten Island, NY. I found a way to combine my love of teaching with my passion for creating and saving animals - Painting for Paws! 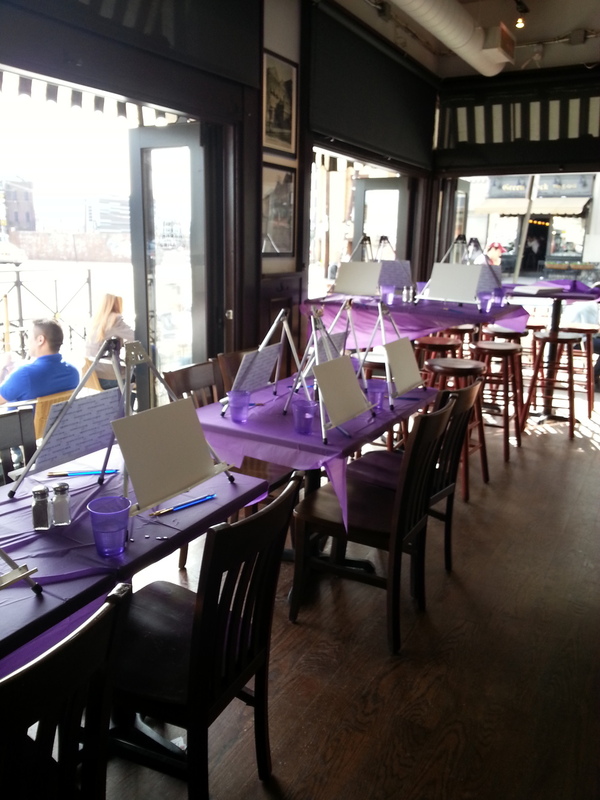 Paint parties are absolutely perfect for fundraising events! The pure joy from helping people learn to paint who may not have ever had the courage to before. AND my hearts contentment at how many lives we can save from a single event. *If you have supporters that are not in the area &/or cannot attend an event but would like to help, they can and should donate funds for the supplies!! Donations for supplies should go directly to me. If supplies are fully funded for your event the 100% of ticket sales goes to you. If you are in the area and want to help by volunteering, wonderful! Contact me. Can't attend/ not in the area but want to help? If you are a generous donor who cannot attend events but would like to help fund my mission so I can continue to afford much needed supplies, thank you and I love you! Please use the donate button above. If you would like to host/ organize an event locally and donate all proceeds to your favorite rescue I would be happy to do that as well. Registrants would send payment directly to me and I will send one payment on your behalf to the rescue of your choice. You will receive a copy of the receipt. If you are in the Tri-State area and would like to set up an event for your rescue please contact me. Please help me make my dream come true by helping me help more animals and those who save them through art. a Painting For Paws event?